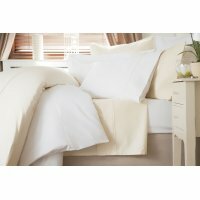 Our 1200 Thread Count 100% Cotton Range is available in pure white and ivory, feels wonderfully smooth and soft to touch. Made from superior fine yarns of long staple cotton, this luxurious range is what you will find in the best hotels worldwide. The high thread count sateen weave gives this fabric both an indulgent soft a durable feel. 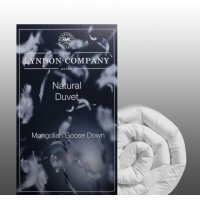 Luxurious Mongoilan Goose Down Duvet by The Lyndon Company is a Soft Light Weight Luxurious DuvetThe..